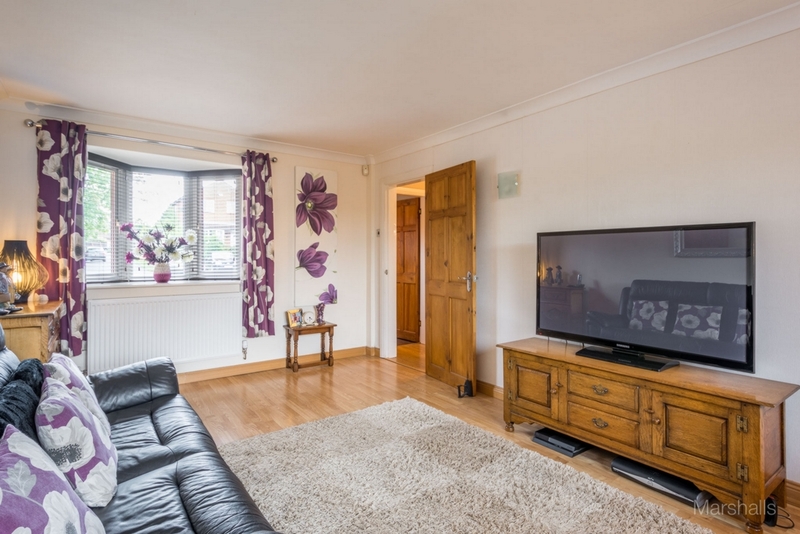 We are delighted to present this three double bedroom, formally four bedroom, detached family home boasting 928 square feet of accommodation. 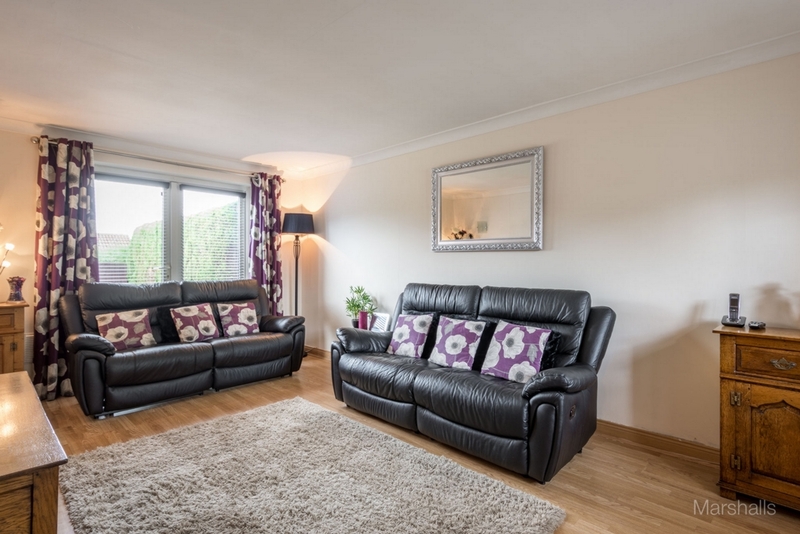 The current owners have, in our view, presented the property to a superb standard and created a home which any family could settle straight in to. 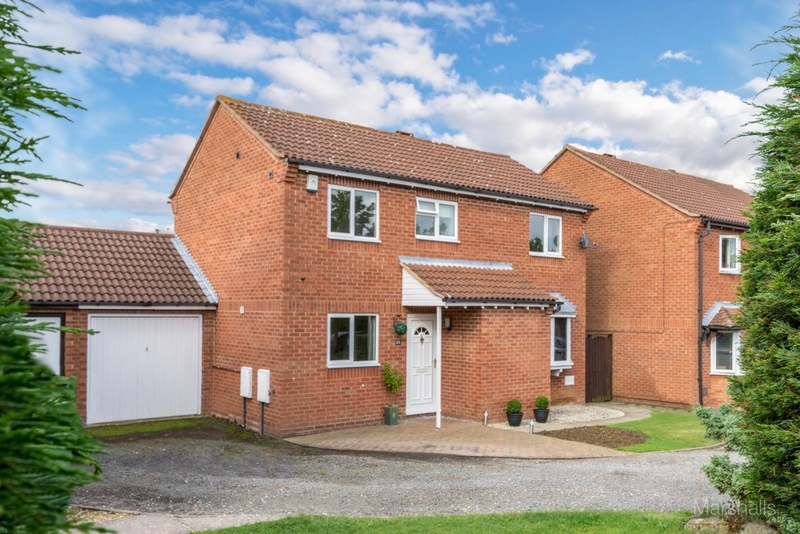 Features include: a dual aspect lounge with doors to the garden, a separate dining room, cloakroom, three double bedrooms all with built-in wardrobes, a re-fitted master en-suite, a re-fitted fully tiled family bathroom, rear garden with patio and seating areas, driveway and garage. This home benefits from a convenient and desirable location. 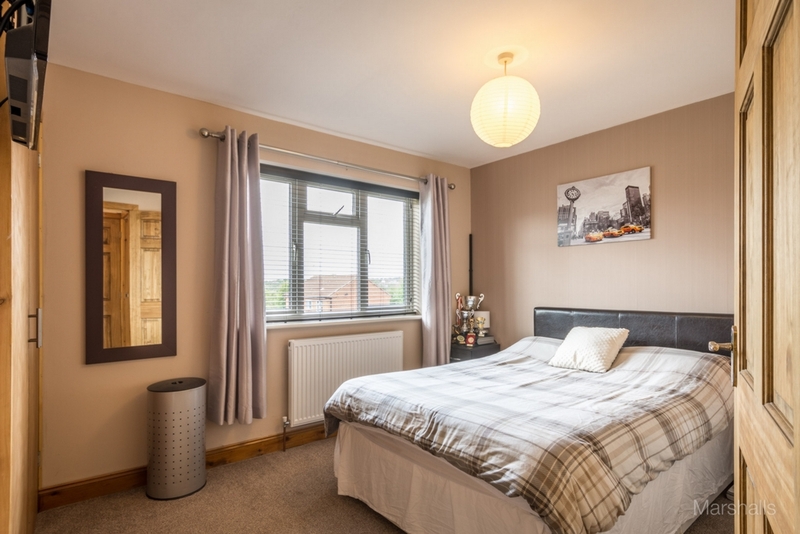 It falls within the Denbigh Secondary School catchment area and is located within a short walk of the attractive Loughton Lodge Lake. 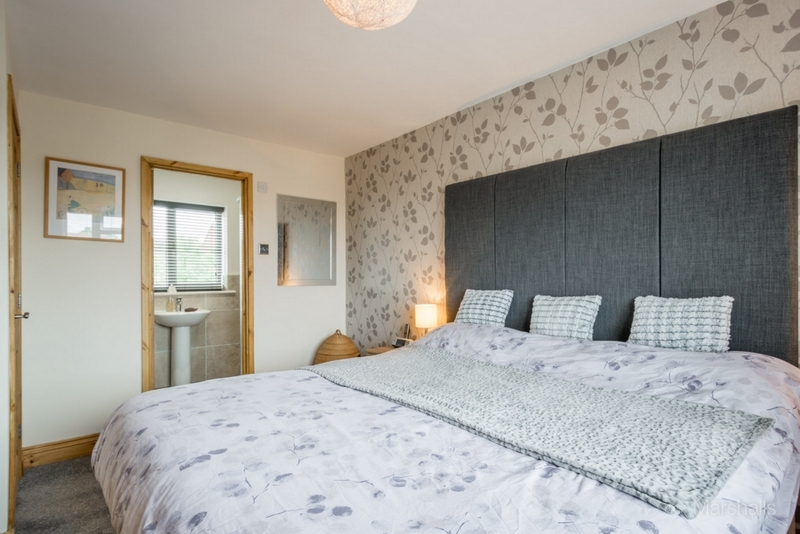 Great Holm offers amenities such as local shops, café and pre-school. FRONT GARDEN: Block paved area, footpath to side, lawn, gravel area. ENTRY: Storm porch, outside light, UPVC double glazed front door with glass insert to entrance hall. 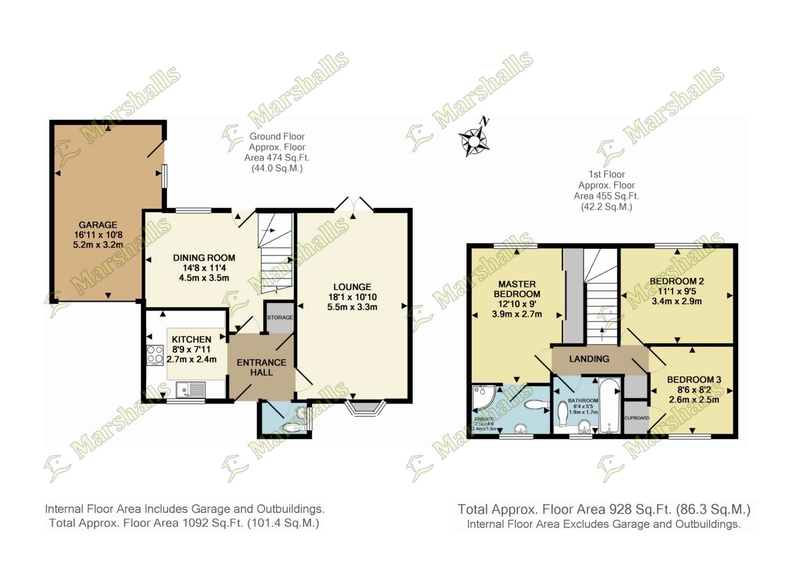 ENTRANCE HALL: Ceiling light, coving to ceiling, double panel radiator, under stairs cupboard, oak flooring, doors to: kitchen, lounge, dining room, and cloakroom. CLOAKROOM: Ceiling light, double glazed window to front, fitted with a low level WC and a wall mounted hand wash basin with splash back tiling. LOUNGE 5.35m (17'7") x 3.30m (10'10"): Ceiling light, two wall lights, telephone point, television point, two double panel radiators, double glazed box bay window to front, double glazed doors to rear, laminate flooring. 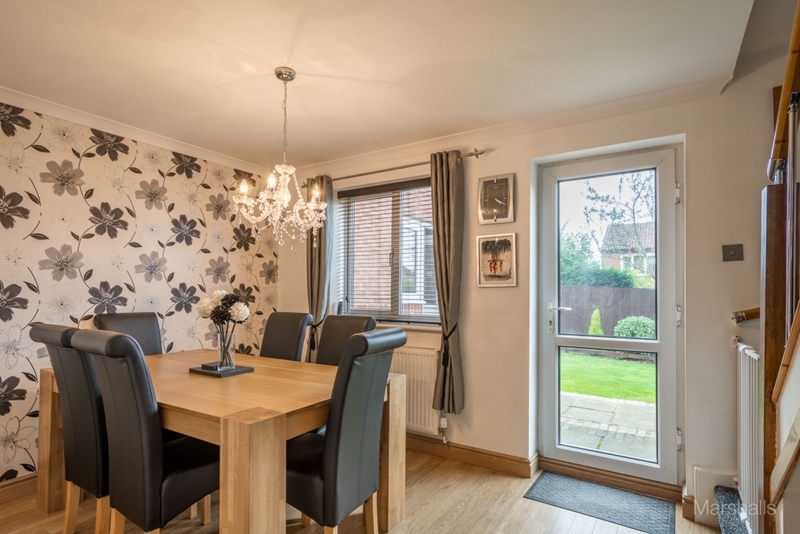 DINING ROOM 4.40m (14'7") max x 2.60m (8'8") excluding door recess: Ceiling light, coving to ceiling, double panel radiator, double glazed window to rear, double glazed doors to rear, stairs rising to first floor, oak flooring. 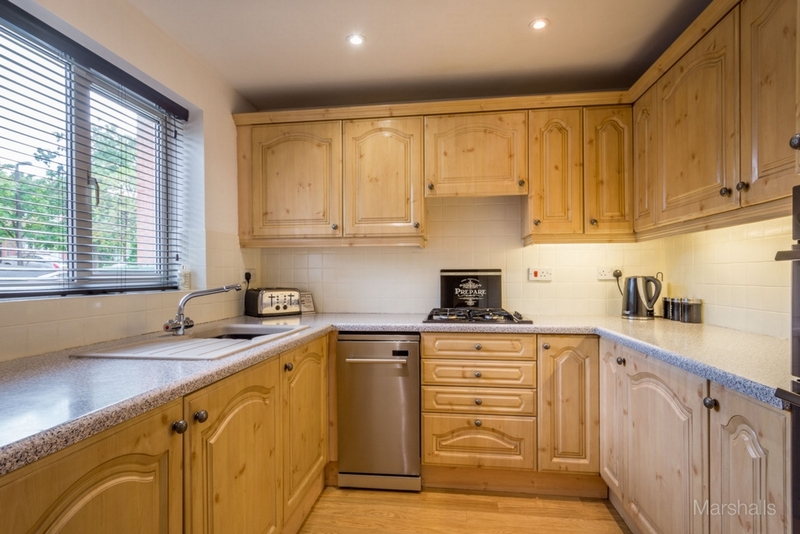 KITCHEN 2.60m (8'8'') x 2.40m (7'11"): Inset spotlights, fitted with range of wall and base mounted units with rolled edge work surfaces over, sink unit with drainer and mixer tap, four ring gas hob with extractor over, electric double oven, integrated fridge, space for slimline dishwasher, splash back tilling, double glazed window to front, laminate flooring. 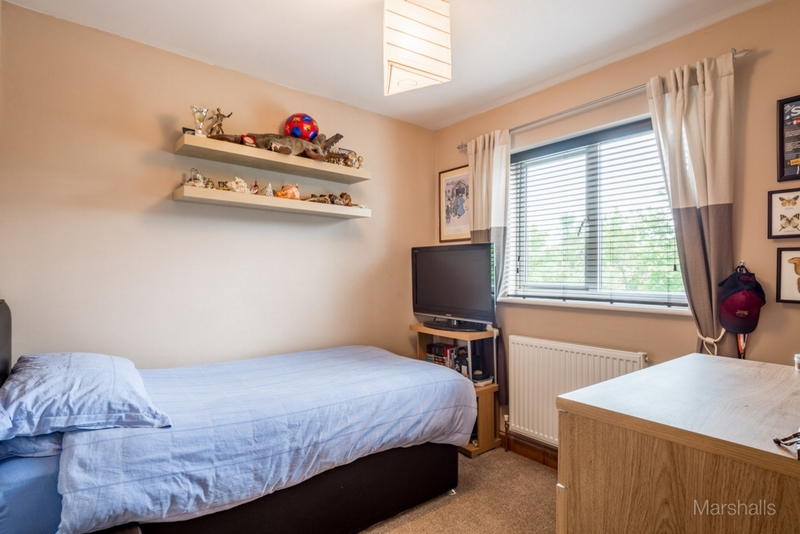 LANDING: Ceiling light, loft access, doors to all bedrooms and bathroom, airing cupboard. 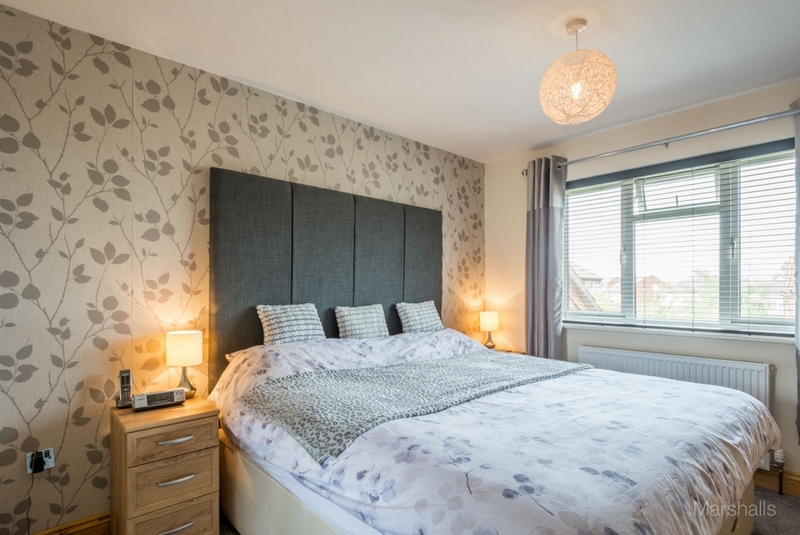 EN-SUITE: Inset ceiling spot lights, fitted with a three piece suite comprising: low level WC, pedestal hand wash basin and a corner shower cubicle, part tiled walls, heated towel radiator, double glazed windows to front, extractor fan. BEDROOM TWO 3.37m (11'1") x 2.81m (9'3"): Ceiling light, radiator, built-in double wardrobe, double glazed window to rear, television point. BEDROOM THREE 2.59m (8'6") x 2.40m (8'1"): Ceiling light, radiator, double glazed window to front, built-in wardrobe, television point. BATHROOM 2.50m (6'4") x 1.65m (5'5"): Inset spotlights, fitted three piece suite comprising: low level WC, hand wash basin set in vanity unit and a panelled bath with shower over, fully tilled walls, heated towel radiator, double glazed window to front. GARAGE: Up and over door, power and light, eaves storage, wall mounted boiler (re-fitted in 2013), door to garden. 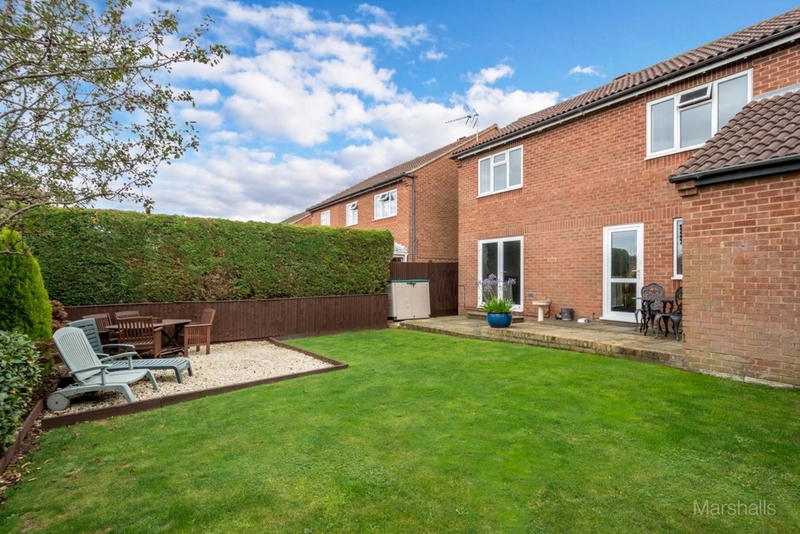 REAR GARDEN: Mainly laid to lawn, patio, two gravelled seating areas, border of trees and shrubs, gated side access, outside light, all enclosed by wooden fencing.